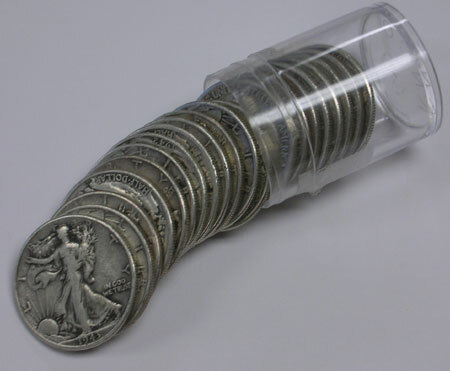 One roll, 20 Walking Liberty Halves Coins. Condition ranges from Very Good though Extra Fine. The walkers are our pick from the different dates and different mint marks that we have in stock. Coins are generally from the 40's.